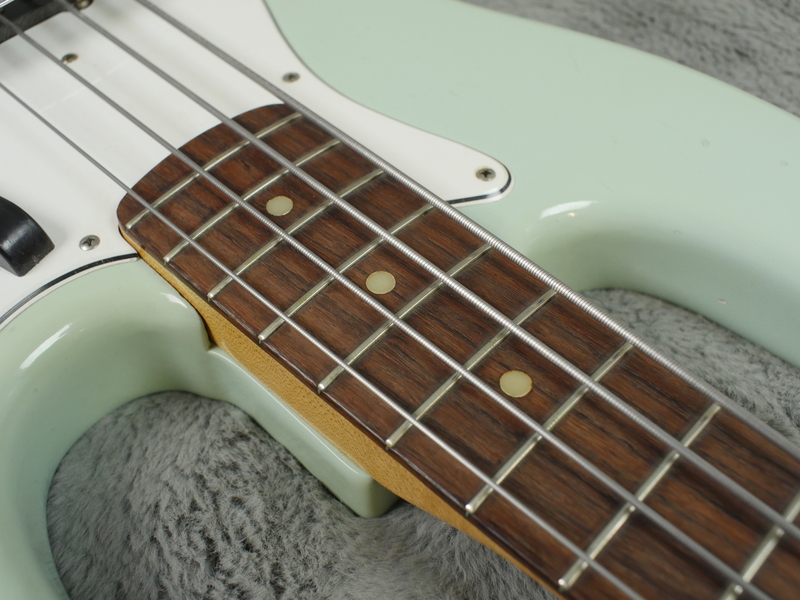 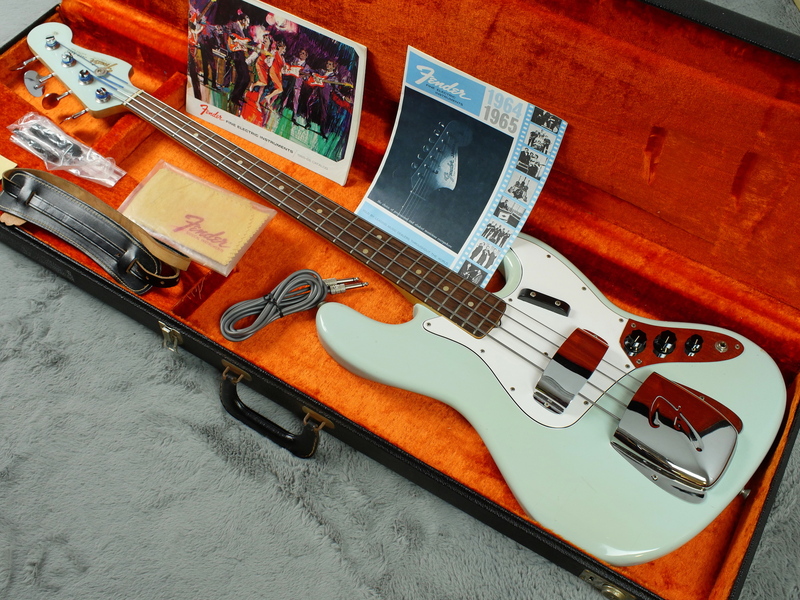 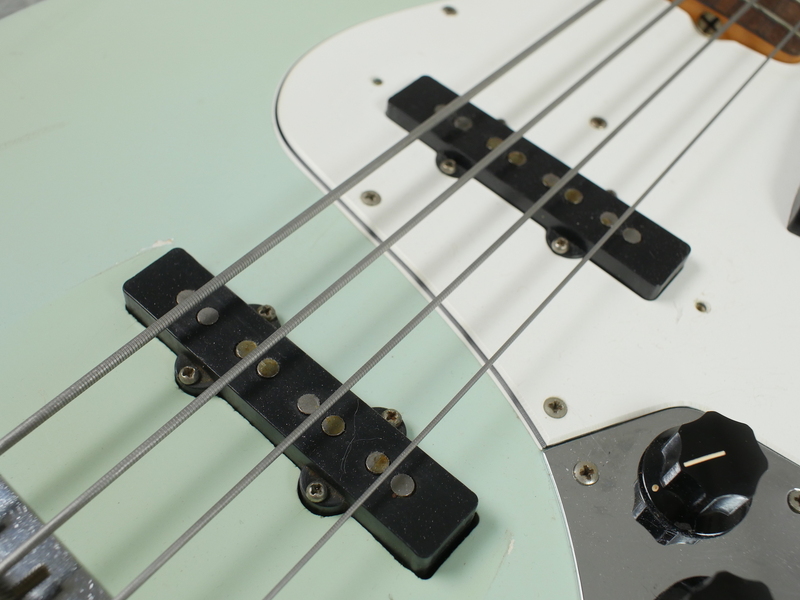 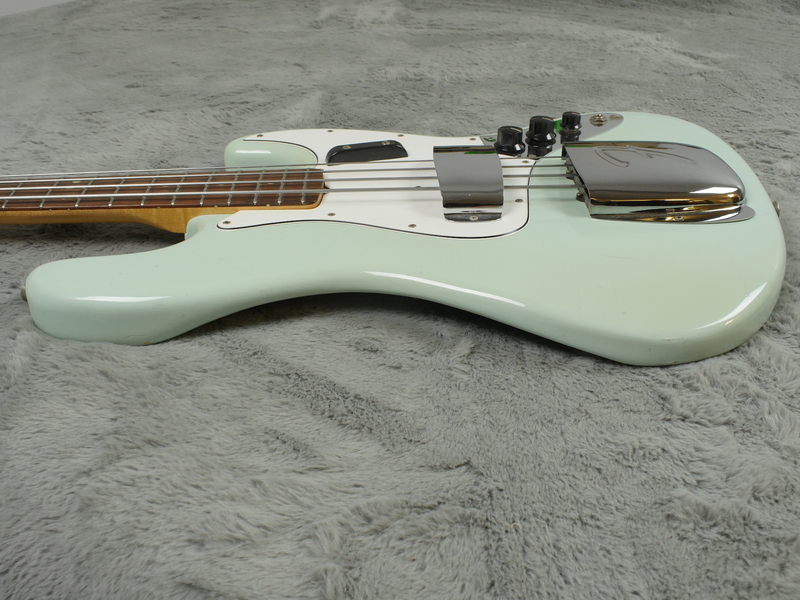 Again, probably one of the finest examples on the planet of this super rare Custom Colour Jazz Bass in Daphne Blue. 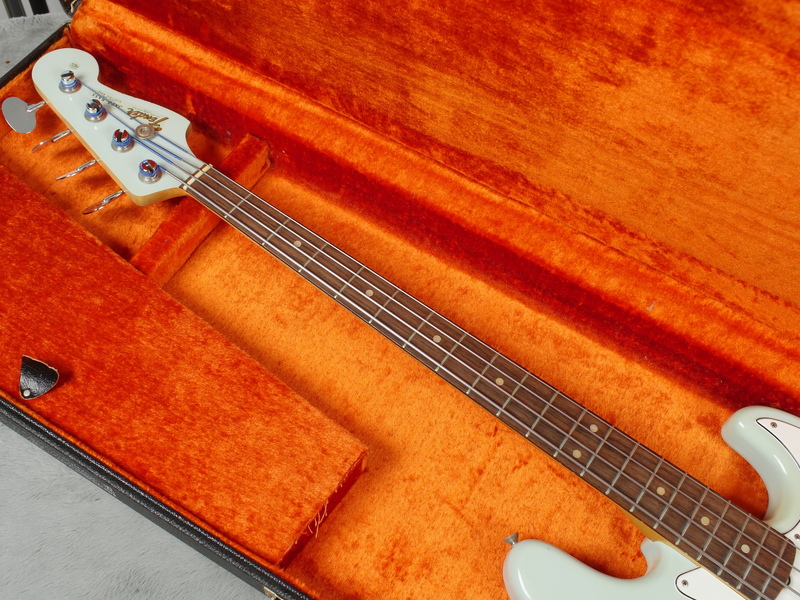 All original and in near MINT condition too... What a find! 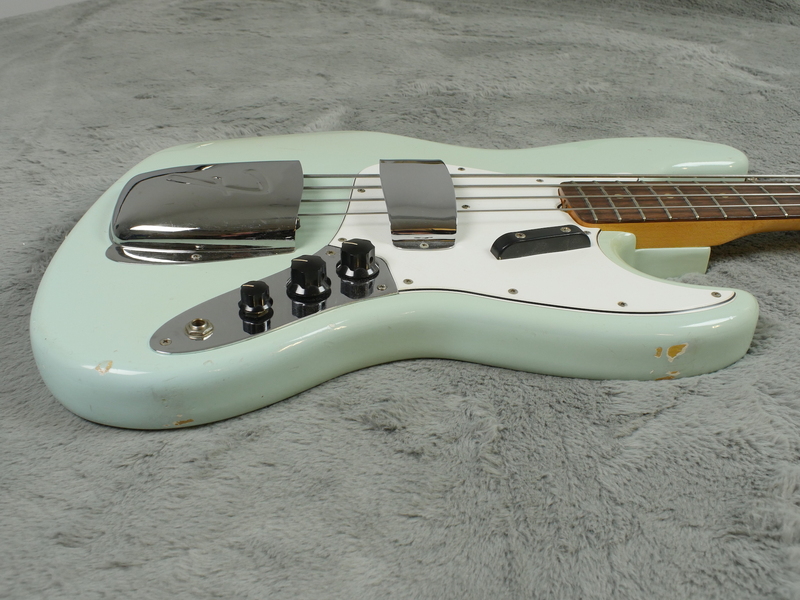 Another jaw dropping, eye popping rare, and near MINT Custom Colour bass. 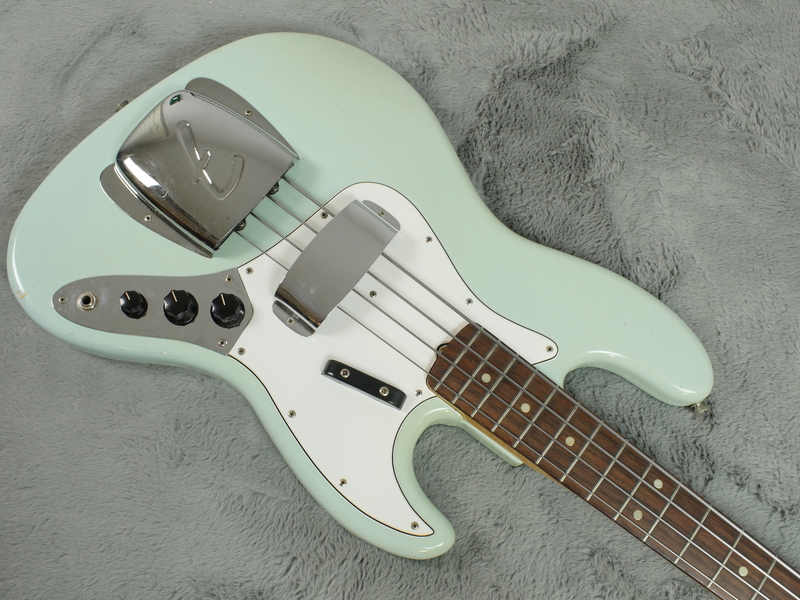 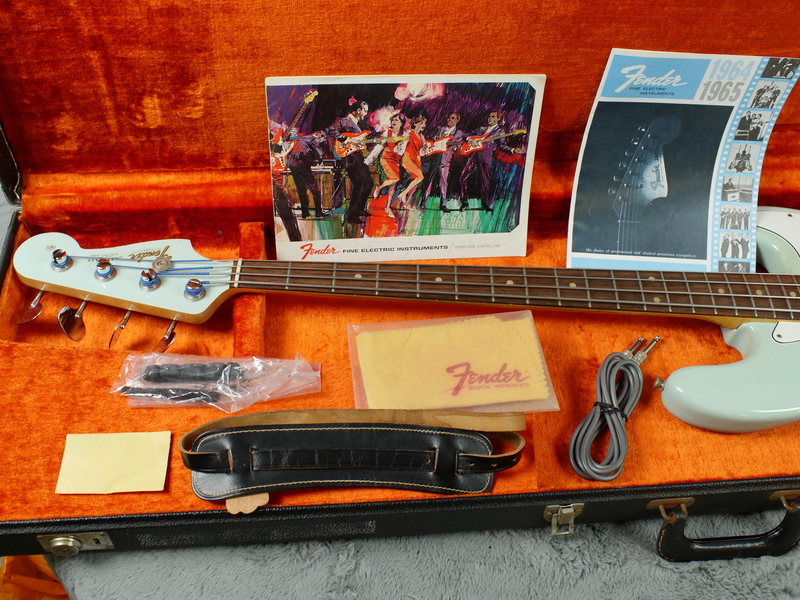 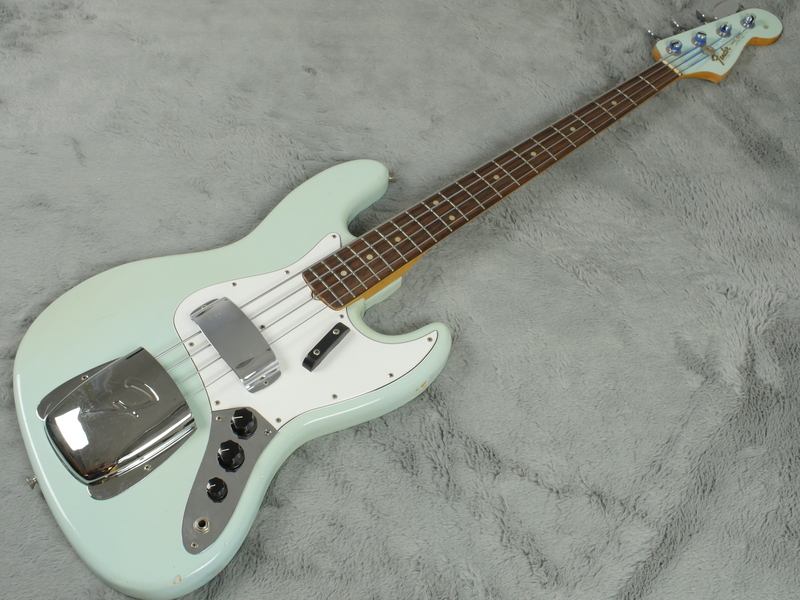 This time a super rare Fender Jazz Bass in Daphne Blue with matching headstock, original cloth, case, strap, foam mutes (in a bag) and a bit of case candy. 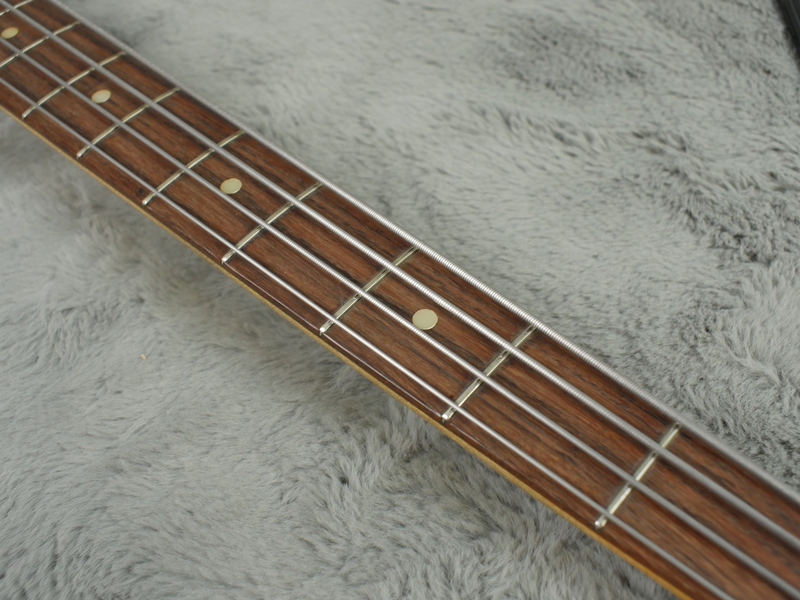 The condition of this bass defies belief. 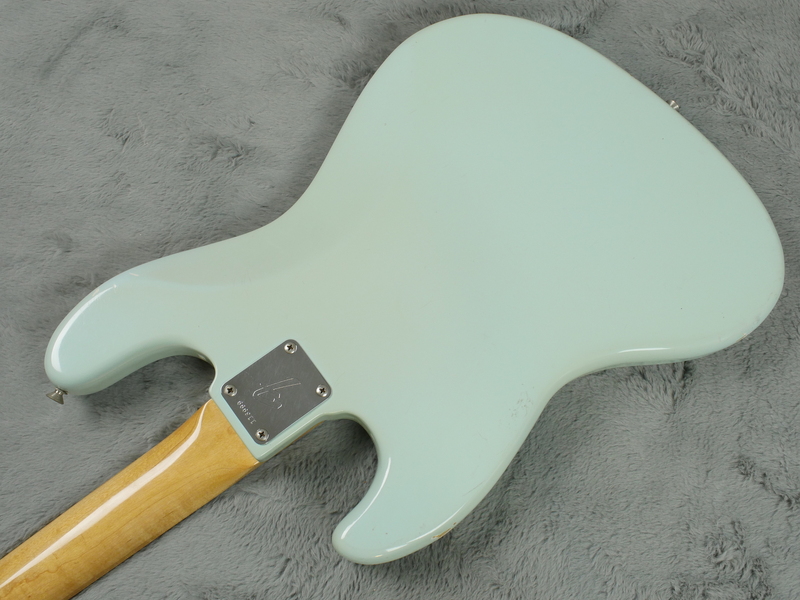 Daphne Blue is a super rare custom colour. 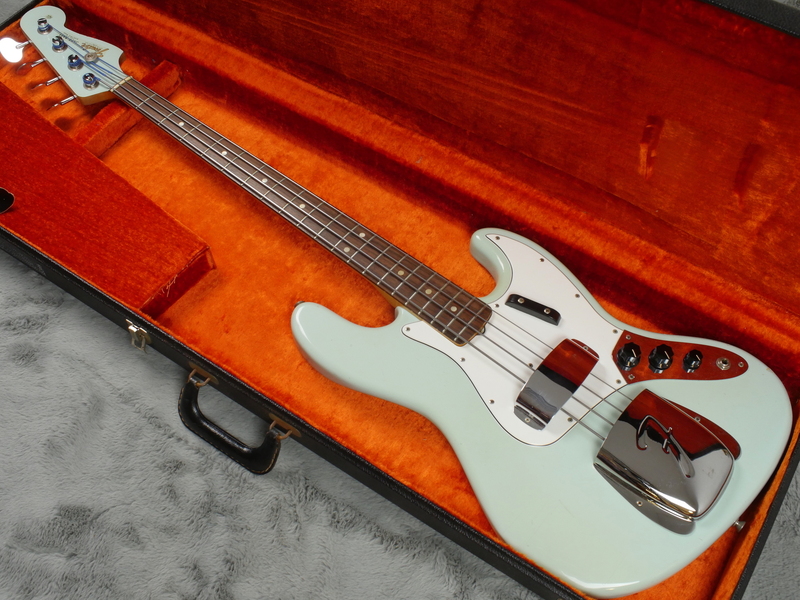 Very few were produced during 1965. 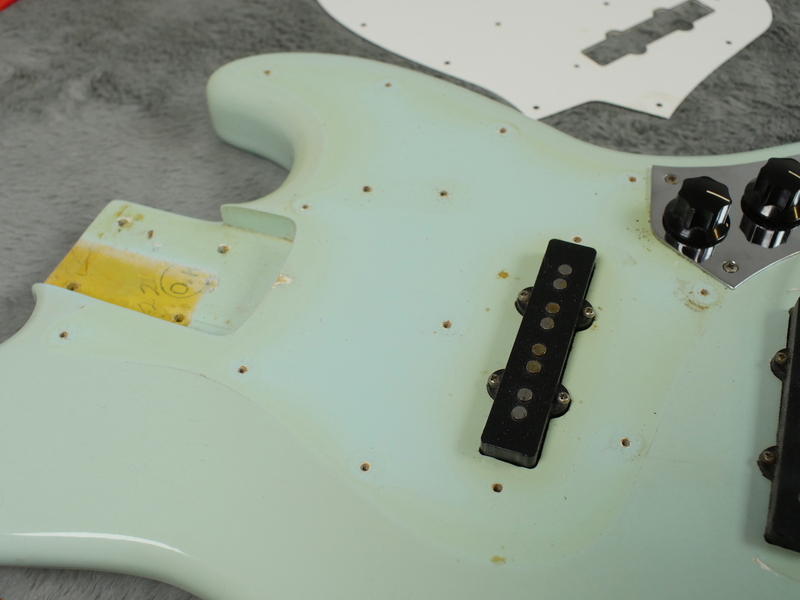 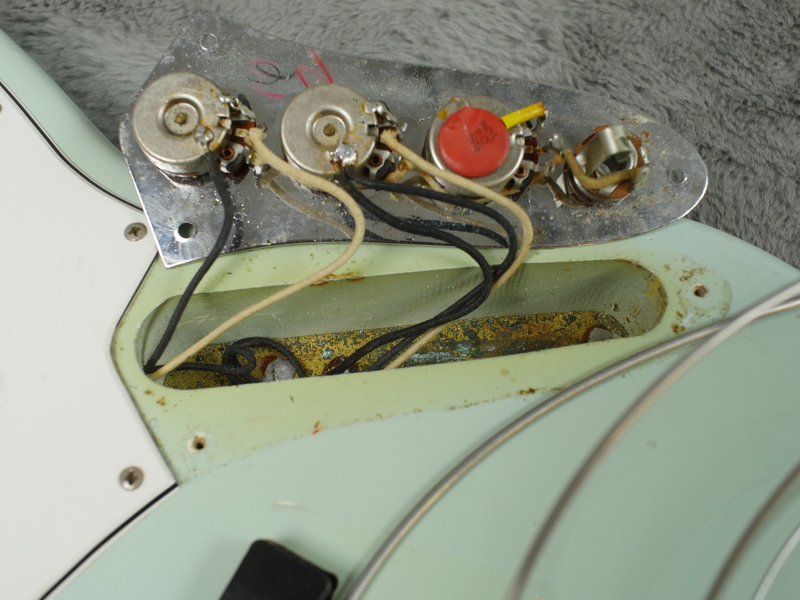 As with other blue custom colours that have been nitro clear coated, the clear coat yellows slightly but under the pickguard and in the cavities, you can see the origins of its true colour. 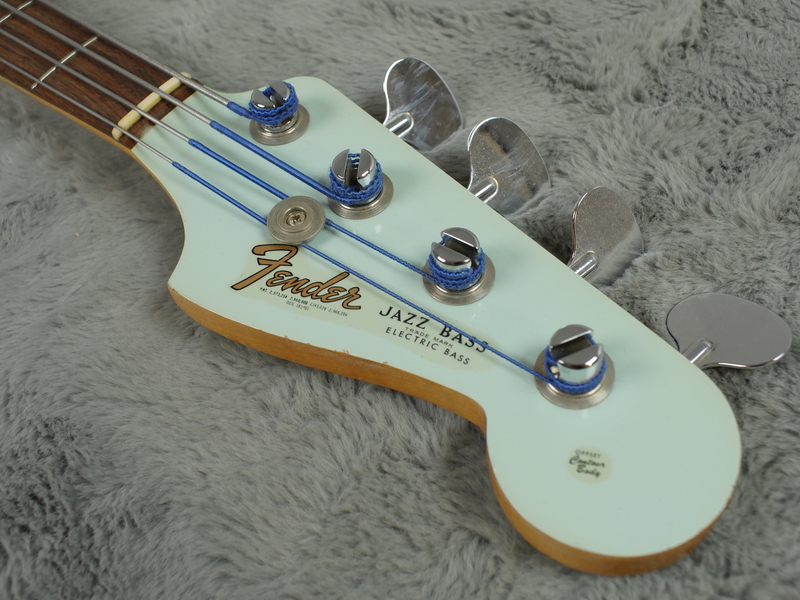 We originally thought that we had a sonic blue Jazz Bass here but after due diligence by some of the worlds experts in Fender custom colours it appears we have a super rare Daphne Blue Jazz Bass. 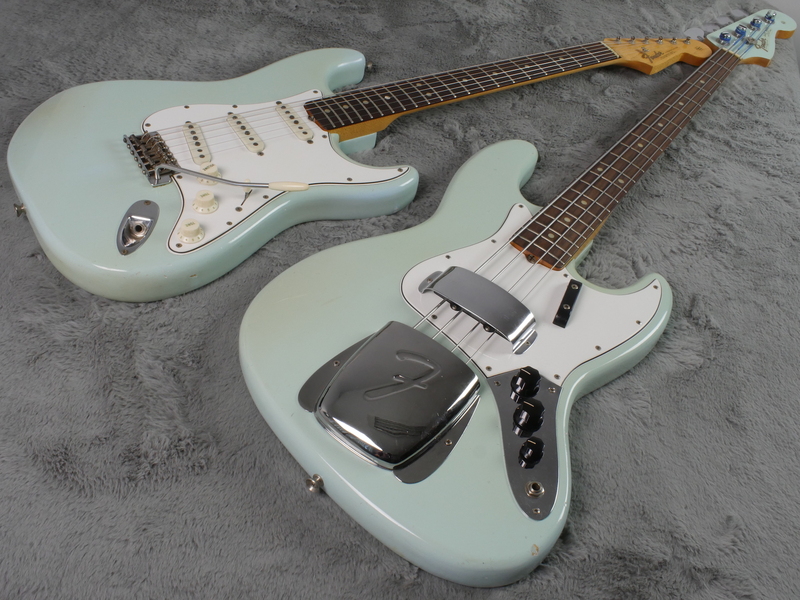 It has a November 1965 neck date which is exactly the same as our 1965 Daphne Blue Stratocaster (pictured but not included) and it was through researching that Strat, it was discovered that this JB is also DB…! 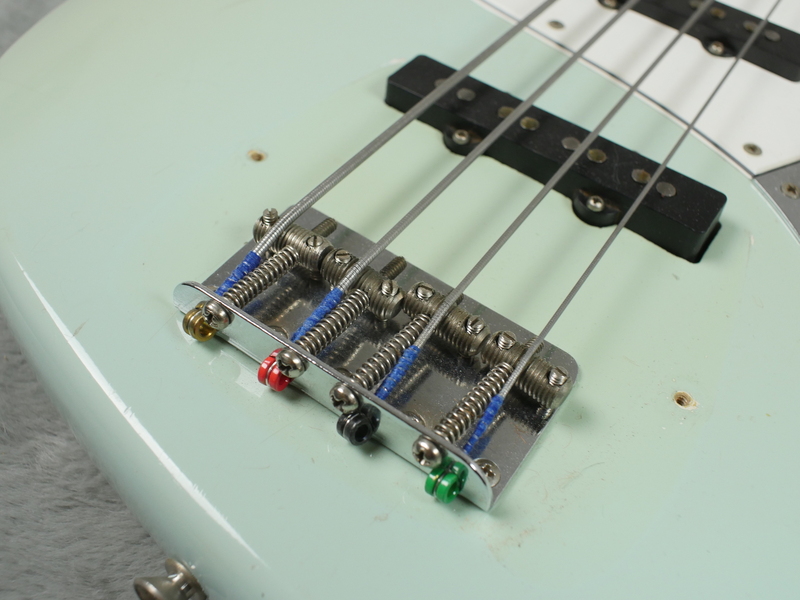 100% Correct, including all solder, hardware, finish etc. 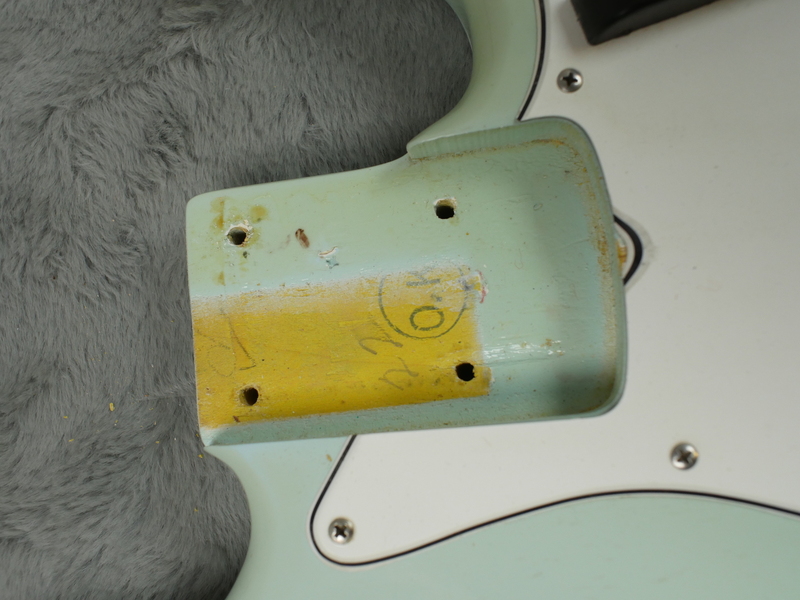 There are no touch ups, no over spray going on and it is as pure as the day it left the factory. 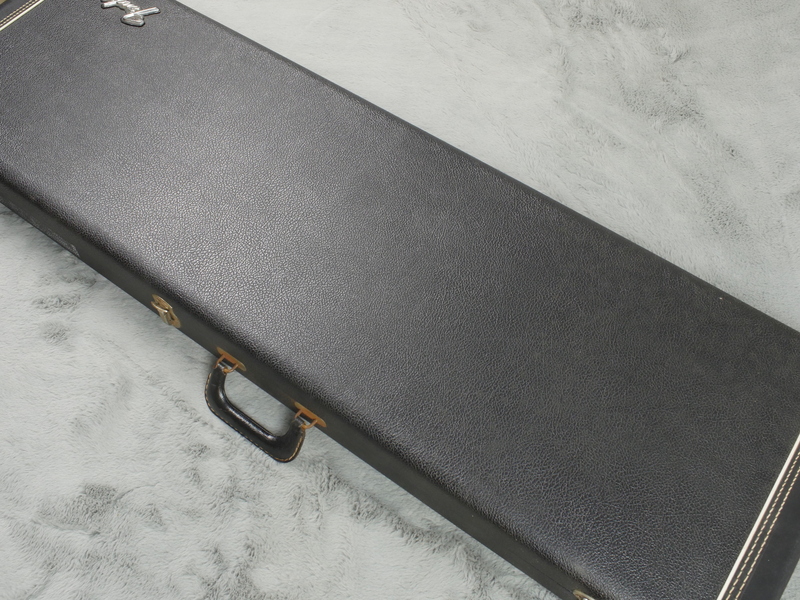 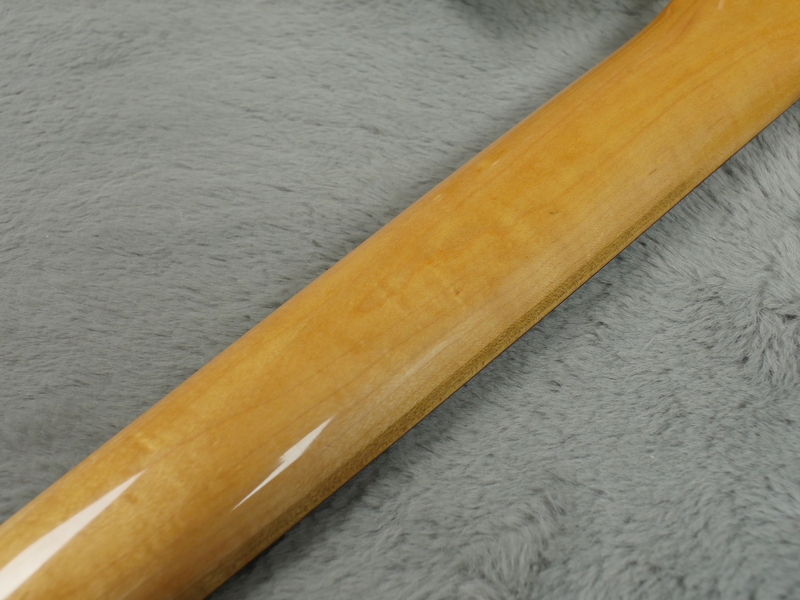 The only signs of any wear is just a few very small dings here and there, some marks on the side where it has been resting in the case and a slight amount of play wear on the lower edge of the neck by the frets - please have a look at the many pics taken from all angles. 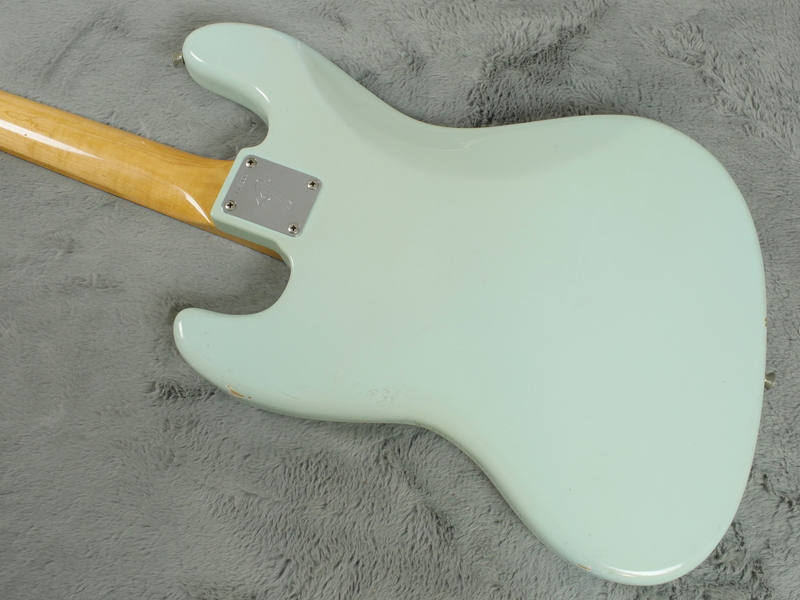 Just look how clean the front and back is! 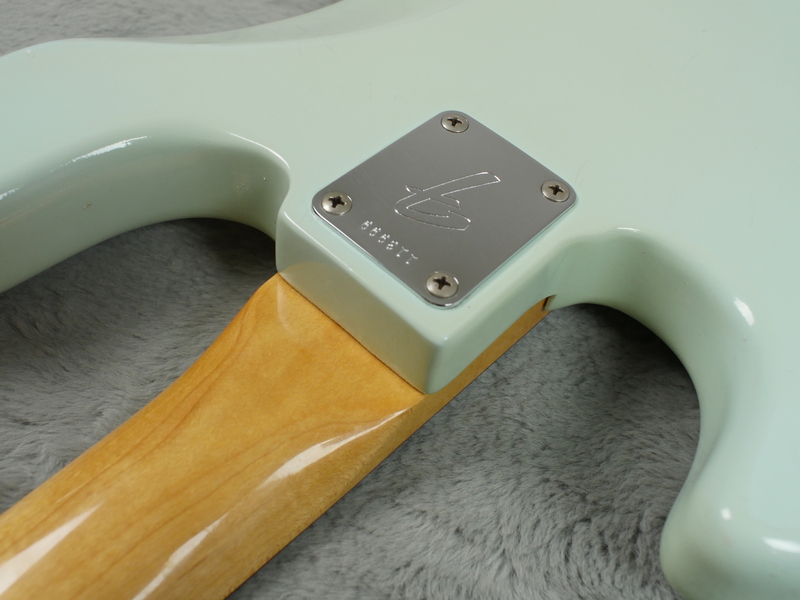 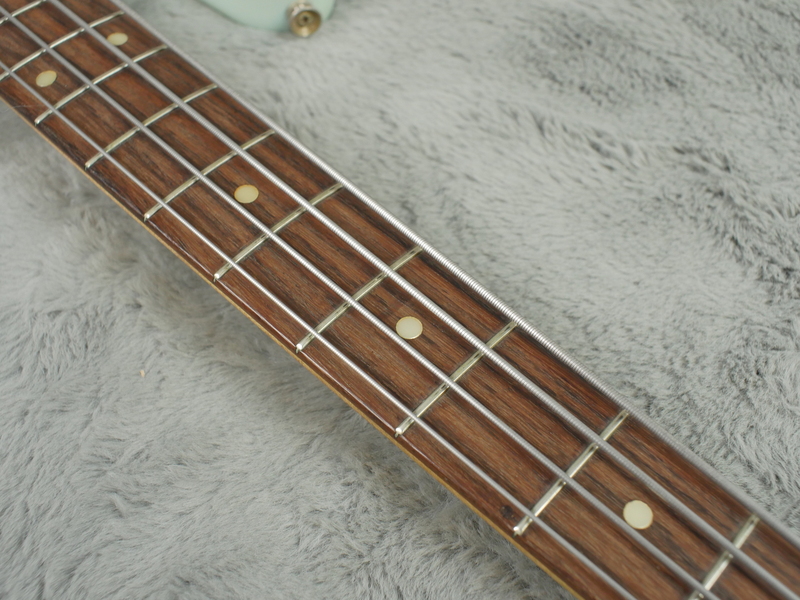 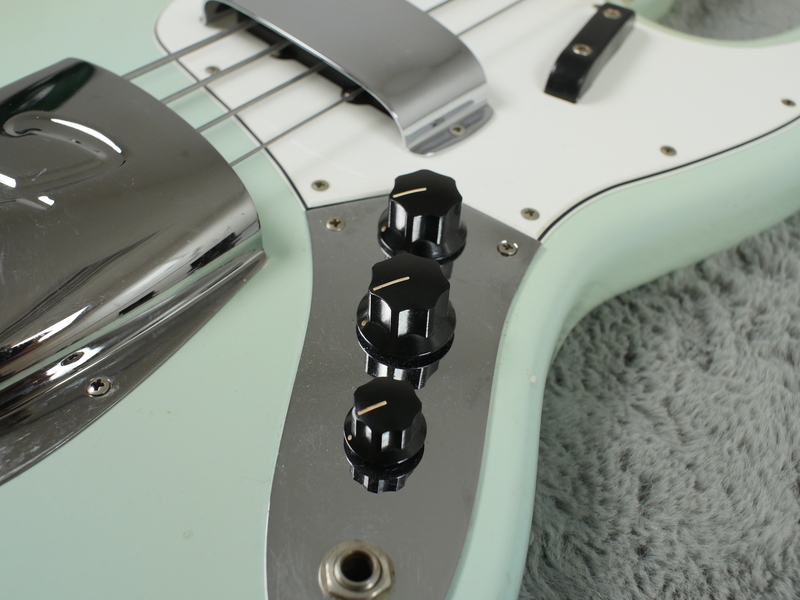 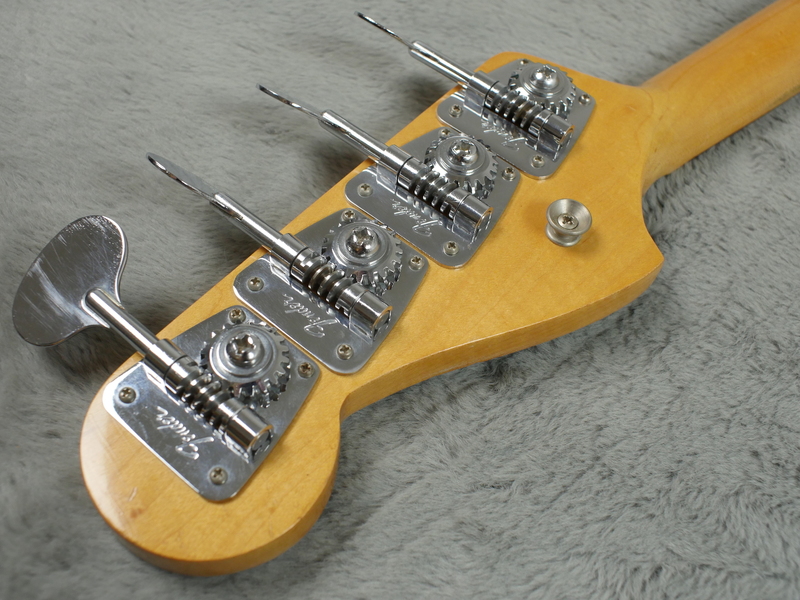 Matching headstock is in amazing shape too and is a nice touch to have with these rare Custom Colour Jazz Basses. 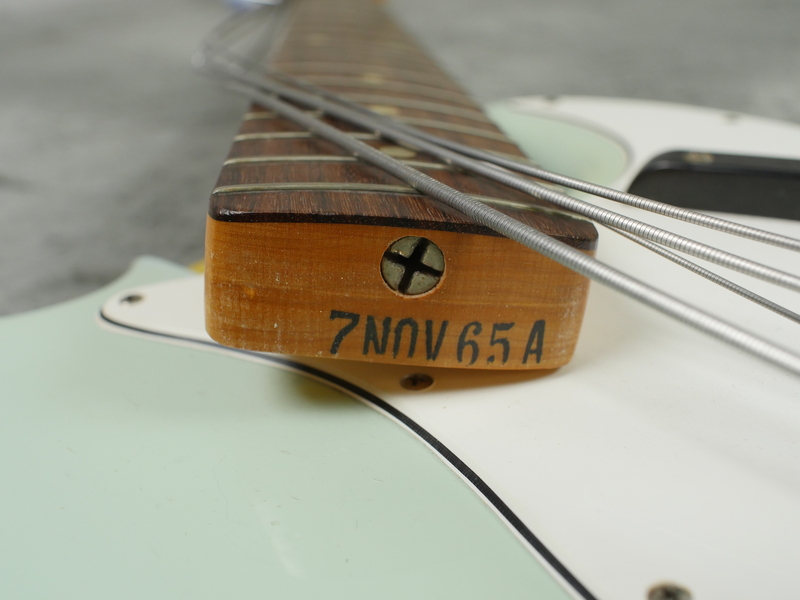 Playing wise, it is as good as new with no dead spots, an excellent action and no truss rod issues either. 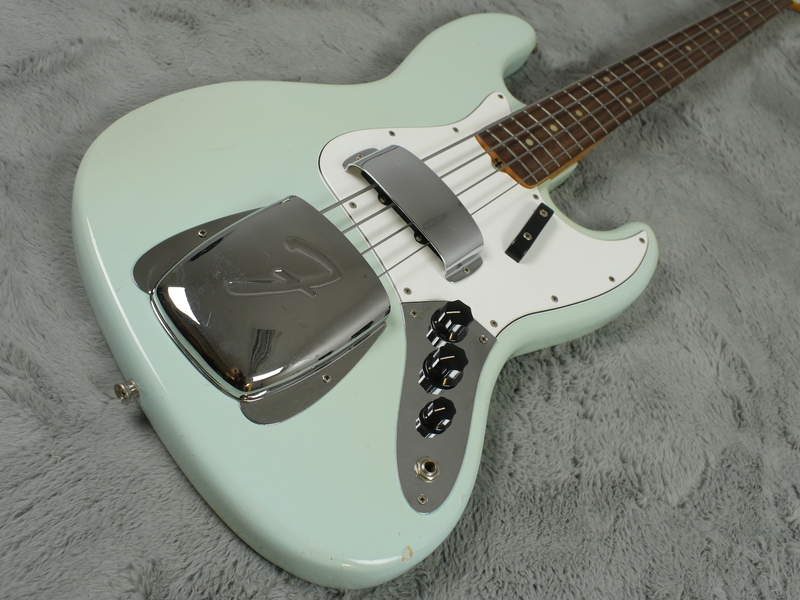 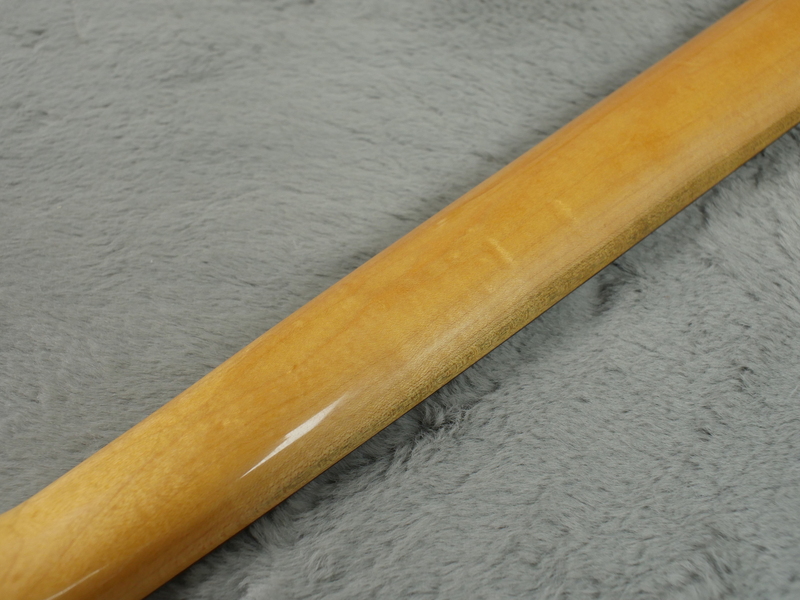 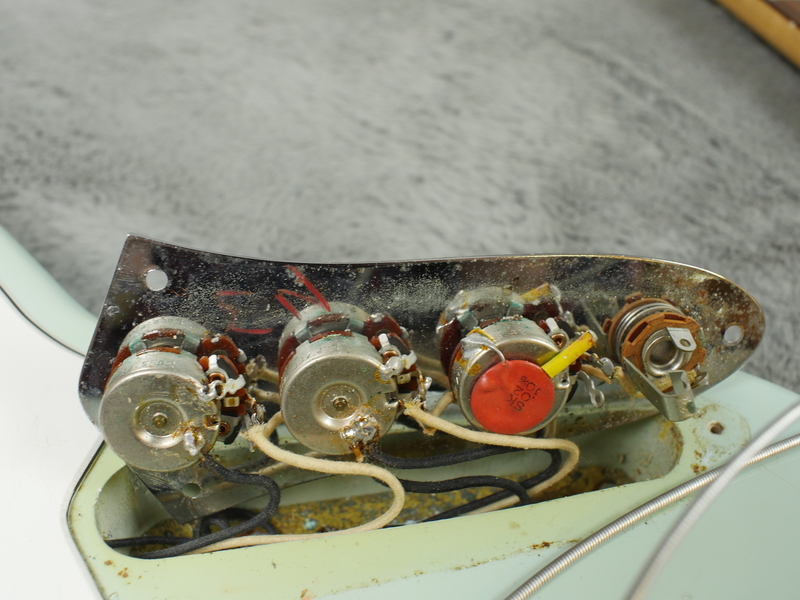 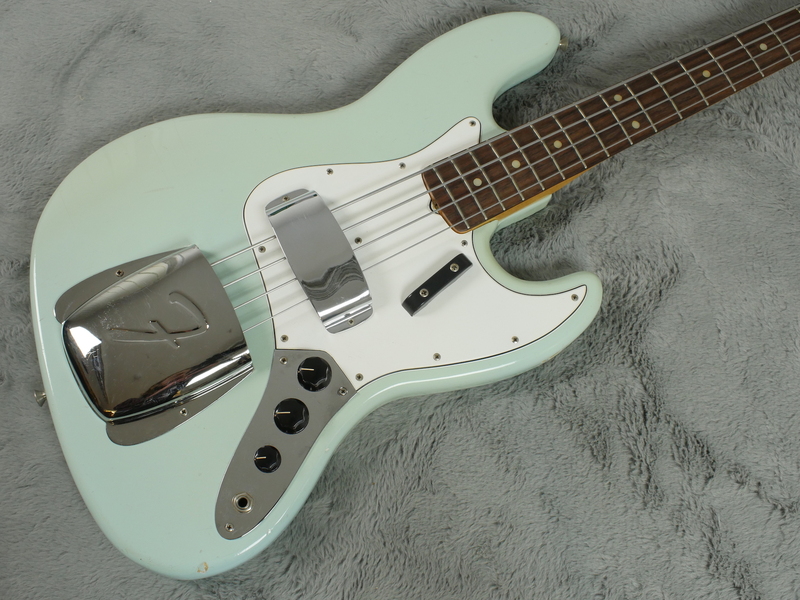 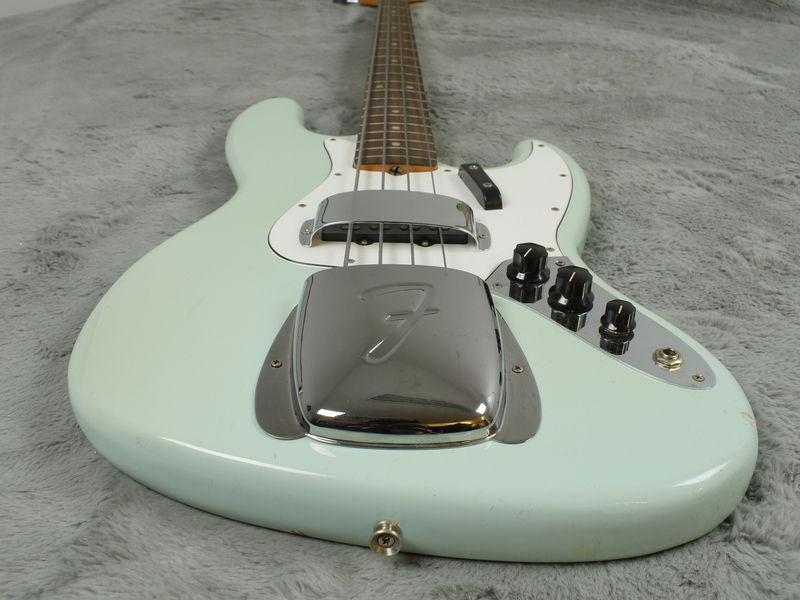 This being a transitional 1965 model, has the unbound fingerboard with dots. 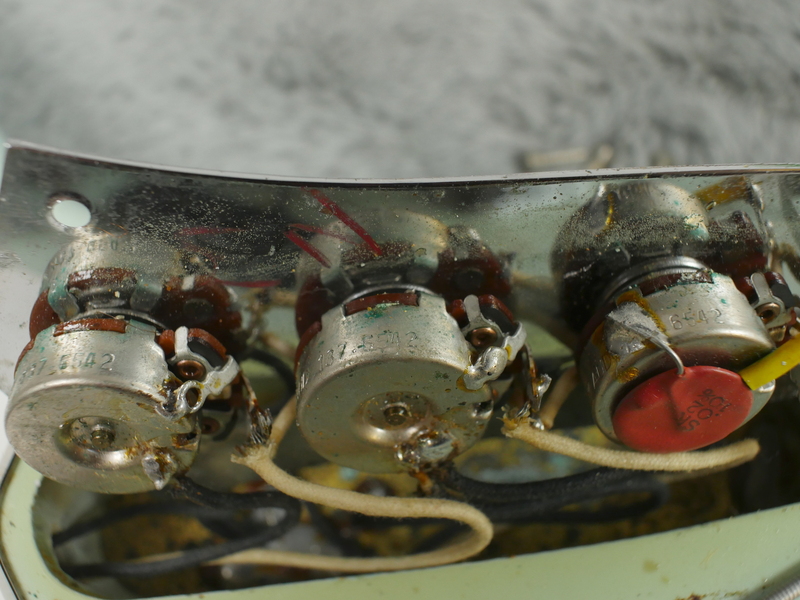 Neck date is November 1965 and all pots date to 42nd week of 1965. 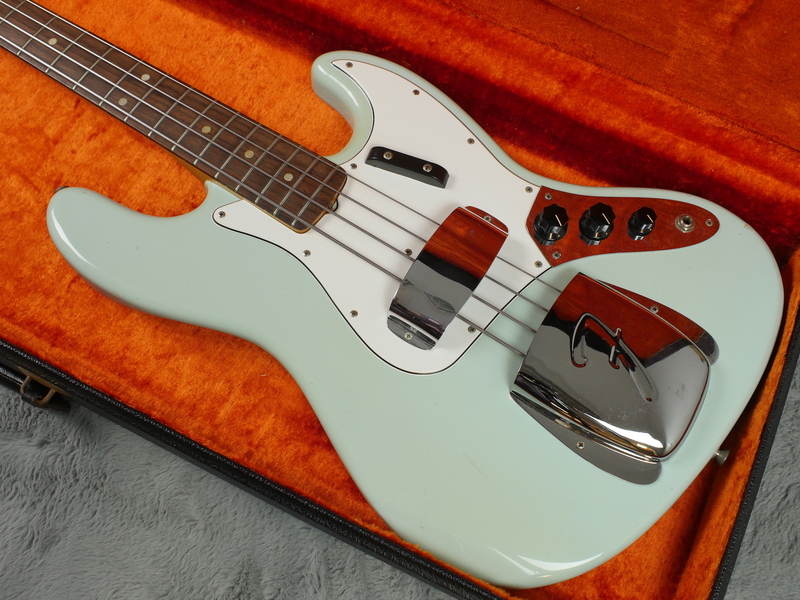 This is one item where we think we can truly say.. .find another!